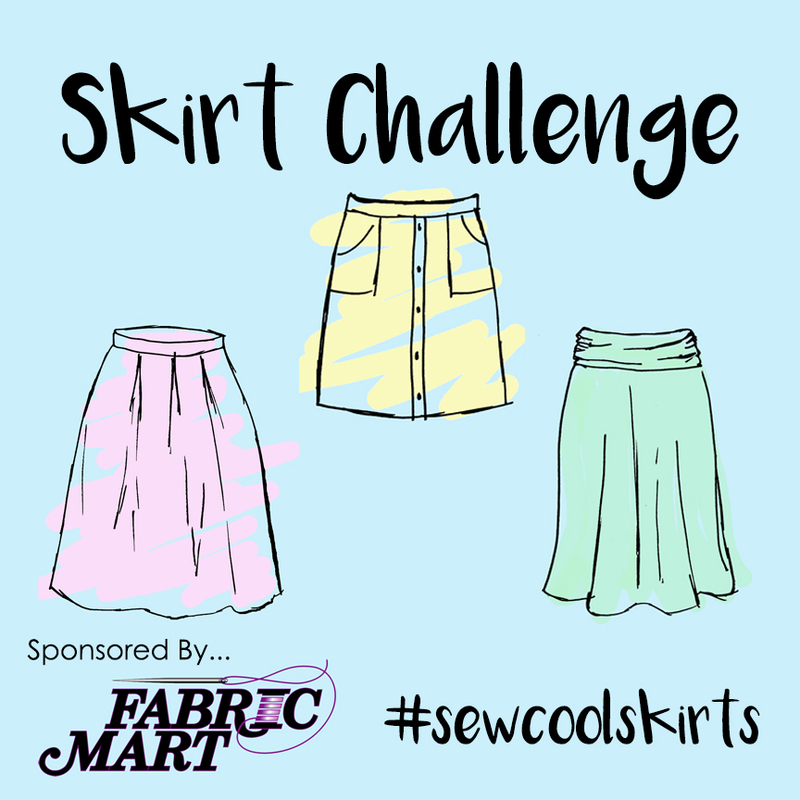 Fabric Mart Fabricistas: Announcing the Skirt Challenge! My favorite Maxi skirt is Simplicity 1616 view A for knits. Great for beachy breezy days with a tank top or can be dressed up for work with a cute top and cardigan. Ally skirt from Blue Dot Patterns, That's a really cute skirt for summer. Do you have to be from the US? How about if we can use a US address for shipping purposes? Because we only ship to US, Canada and Australia, you wouldn't be able to win the prizes. Customers in Canada and Australia are responsible for shipping costs whereas US customers have a flat rate $8.75 shipping. If you're somewhere other than places we ship, I hope you will follow along for fun! Or if you have a freight forwarder that you work with in the US, that would be possible too! 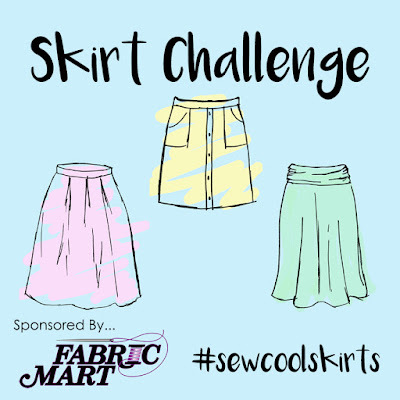 Can we tag previously made skirts or do they have to be made during the contest period? You can post photos of previously made skirts but the post needs to be during the month of May. Thanks! I, too like skirts and will be posting several that I have made. Do we only post one skirt for the entire month of May, or do we post a new skirt each week? You can post as many skirts as you want for the entire month. A winner will be picked weekly.